Based on projected earnings, these seven stocks look like a bargain. Valero Energy (VLO) may be the cheapest stock in the S&P 500. Investors like to value stocks based on their projected profits, or forward price-to-earnings (P/E). Based on that measure, Valero's price tag is the least expensive among S&P 500 companies with a market value of at least $15 billion. Why? The market is clearly spooked by America's decision to allow some ultra-light crude oil to be exported. The fear is the move could boost domestic oil prices and raise costs on American refiners like Valero, which tumbled about 10% on the June 25 export announcement. Yet Wall Street is signaling the selling may be overdone. 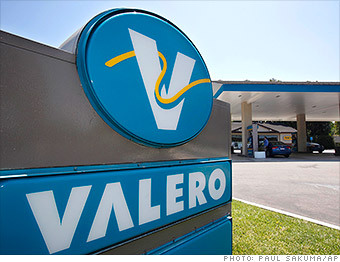 A lofty 71% of analysts who cover Valero have a "buy" rating on the stock, up from 61% in April. And the average price target of nearly $64 is well above the current price of around $50. That means either Wall Street needs to ratchet its targets down, or the market may be undervaluing Valero shares.